BLOX Block Guard - Dezod Motorsports Inc - Home of the automotive performance enthusiast since 2002. BLOX Racing engine block guards help strengthen and support the upper cylinders walls in open-deck Honda/Acura engines. 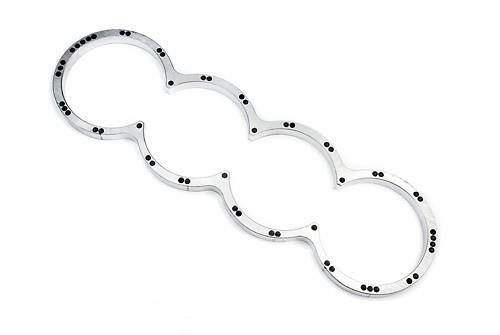 CNC-machined from AL6061, the BLOX Racing engine block guard also provides maximum coolant passage to the head minimizing the risk of head gasket failure and cracked cylinder sleeves. BLOX Racing billet block guards are necessary for forced-induction engine applications.